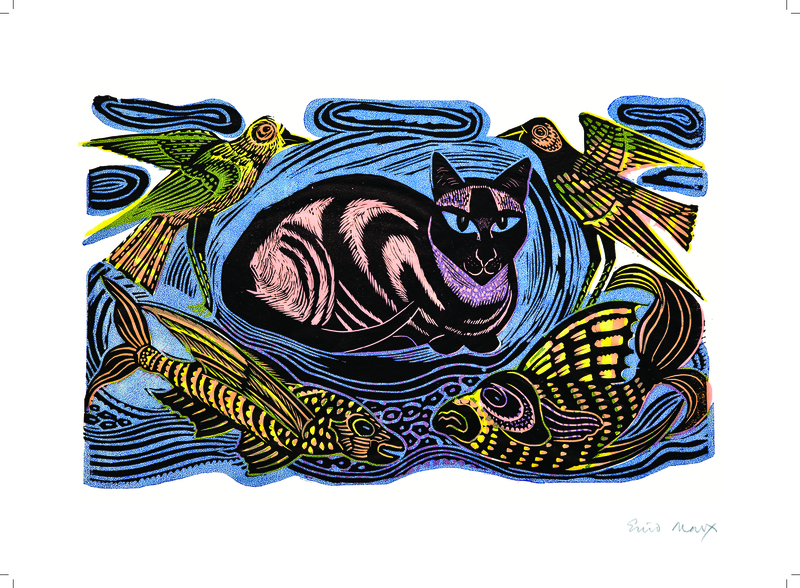 A rare print from a set of six linocuts originally produced by Enid Marx between 1936 – 1970. Printed on thin ‘Japon’ paper, these five colour linocuts with red accents were produced as a box-set portfolio edition by the Judd Street Gallery, London in 1989. This print entitled Feline Phantasy is yet another example of Enid Marx’ love affair with cats.